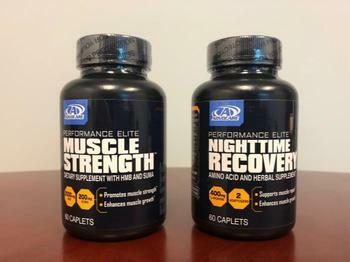 AdvoCare International is recalling two lots of Muscle Strength and four lots of Nighttime Recovery dietary supplements. No reports of adverse events due to a milk allergen had been reported prior to the recall. 15,640 units of Muscle Strength, product code: P3221 with lot numbers: 7063341, 7082161, and sold between November 15, 2017 - March 29, 2018. 48,176 units of Nighttime Recovery, product code: P3201 lot numbers: 7081841, 7063321, 7052411, 7090471, sold between December 15, 2017 - March 28, 2018. Customers who purchased the recalled product should call AdvoCare customer service at 800-542-4800 from 8 a.m. to 8 p.m., Monday – Friday for a full refund or exchange of the product.